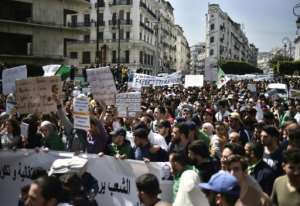 The announcement on Bouteflika's resignation "doesn't change anything", psychology student Meriem Medjdoub said as she marched in central Algiers with around 1,000 protesters. The ailing 82-year-old Bouteflika has been clinging to power despite weeks of protests that first erupted in February when he said we would seek a fifth term in power. On Monday his office said the president, who has rarely been seen in public since a 2013 stroke, will resign "before April 28" -- the date marking the end of his current mandate. 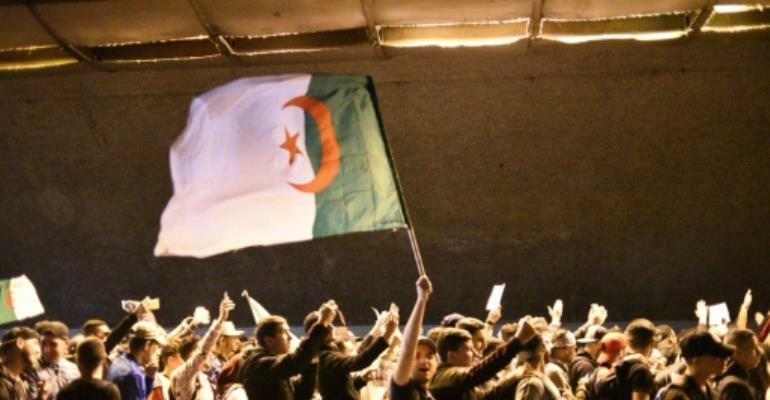 The announcement came after a succession of loyalists deserted him in the face of the massive protests rocking Algeria. It was greeted by the beeping of some car horns in Algiers on Monday, but there was little sign of euphoria as people insisted that the whole ruling establishment must go. Some Algerians even shrugged it away as an "April's Fool" and a "non-event". On Tuesday it was clear that for many Algerians Bouteflika's departure after 20 years in charge was not decisive enough. El Watan newspaper said the announced resignation was a "half measure... as long as the departure of all those who symbolise the (ruling) system has not really started". Liberte daily agreed saying "the end of Bouteflika's long reign is far from being the same as the end of the system". Students on the streets of Algiers voiced doubts and concerns. "It is a diversion... they are trying to gain time," said Imen Zaaf. "I wonder what is behind all this," chimed in Yasmine, who like many Algerians believes the announced departure of Bouteflika is a manoeuvre by the veteran leader and members of his inner circle. The presidency, in a brief statement carried by the official APS news agency Monday, said Bouteflika will step down after "important decisions" are taken. He would take "steps to ensure state institutions continue to function during the transition period", the statement said. That in itself has raised a number of questions, with some seeing it as a bid by Bouteflika to place his allies firmly in power during a transition period. The Movement for the Society of Peace, a moderate Islamist party, said "the president's resignation... without reforms could end up conspiring against the popular movement". "The move is just a way of keeping the political system with all the wrong turns that have led us to the current situation," it said. As rumours swirl of frantic behind-the-scenes manoeuvring, prosecutors on Monday announced they had banned corruption suspects from leaving Algeria after launching graft probes against unnamed individuals. Haddad, who Forbes magazine describes as one of Algeria's wealthiest entrepreneurs, was detained overnight Saturday to Sunday at a border post with neighbouring Tunisia. Local media said a search of his car revealed an unspecified amount of foreign currency and Algerian dinars which he did not declare at the border customs office. Haddad was due to appear before an investigating magistrate. The statement on Bouteflika's impending resignation came after he named a new government Sunday, made up mainly of technocrats under recently appointed premier Noureddine Bedoui. The administration -- supposed to steer the country towards transition -- included army chief General Ahmed Gaid Salah remaining in his position as deputy defence minister. Gaid Salah, a long-time Bouteflika ally, last week called on the president to resign or be declared unfit to rule.